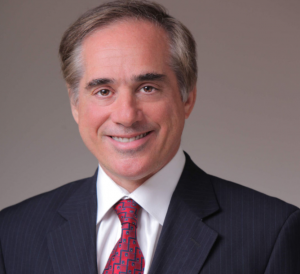 After weeks of speculation, and a list of potential candidates being considered that was long and wide-ranging, President-elect Trump, on January 11, announced Dr. David J. Shulkin as his choice to lead the Department of Veterans Affairs. The Honorable Dr. David J. Shulkin currently serves as Under Secretary for Health for the Department of Veterans Affairs. Since July 2016, Dr. Shulkin has led the nation’s largest integrated health care system serving 8.76 million veterans each year. Prior to being nominated by President Obama and being confirmed by the United States Senate as Under Secretary for Health, Dr. Shulkin served in numerous chief executive roles including serving as President at Morristown Medical Center, Goryeb Children’s Hospital, and Atlantic Rehabilitation Institute, and the Atlantic Health System Accountable Care Organization. Dr. Shulkin also previously served as President and CEO of Beth Israel Medical Center in New York City. Dr. Shulkin has held numerous physician leadership roles including the Chief Medical Officer of the University of Pennsylvania Health System, the Hospital of the University of Pennsylvania, Temple University Hospital, and the Medical College of Pennsylvania Hospital. Dr. Shulkin has also held academic positions including the Chairman of Medicine and Vice Dean at Drexel University School of Medicine. As an entrepreneur, Dr. Shulkin founded and served as the Chairman and CEO of DoctorQuality one of the first consumer-oriented sources of information for quality and safety in healthcare.